As the drive for self-care grows, so does the desire to find natural health supplements. With the influx of education about CBD and its benefits, more people are turning to this natural compound to feel better. Where people would have once leaned on prescription medications (and the accompanying list of side effects) for relief, they are now turning to High Potency CBD Hemp Oil and are finding success in incorporating it into daily life. CBD, or Cannabidiol, is one of several cannabinoids, or Cannabis compounds, that occur naturally in Hemp and Marijuana plants. THC, another cannabinoid found in both plants, is different from CBD in both its effects and properties. THC is well-known as the active compound in Marijuana that causes a “high.” Hemp plants are high in CBD, but only have about 0.3 percent THC, while Marijuana plants contain a range of 5 to 35 percent THC. THC is known to cause psychoactive effects, while CBD does not. Because of its therapeutic benefits and the lack of psychoactive effects, CBD is federally legal. At Hemp Bombs, we extract our CBD from premium-grade, organic-certified Industrial Hemp. There are several ways to extract CBD from the Hemp Plant, but Hemp Bombs uses a CO2 extraction method to produce CBD isolate. All our CBD is tested by a third-party laboratory to ensure that you are getting 99 percent pure High Potency CBD Hemp Oil with no harmful chemicals or additives. 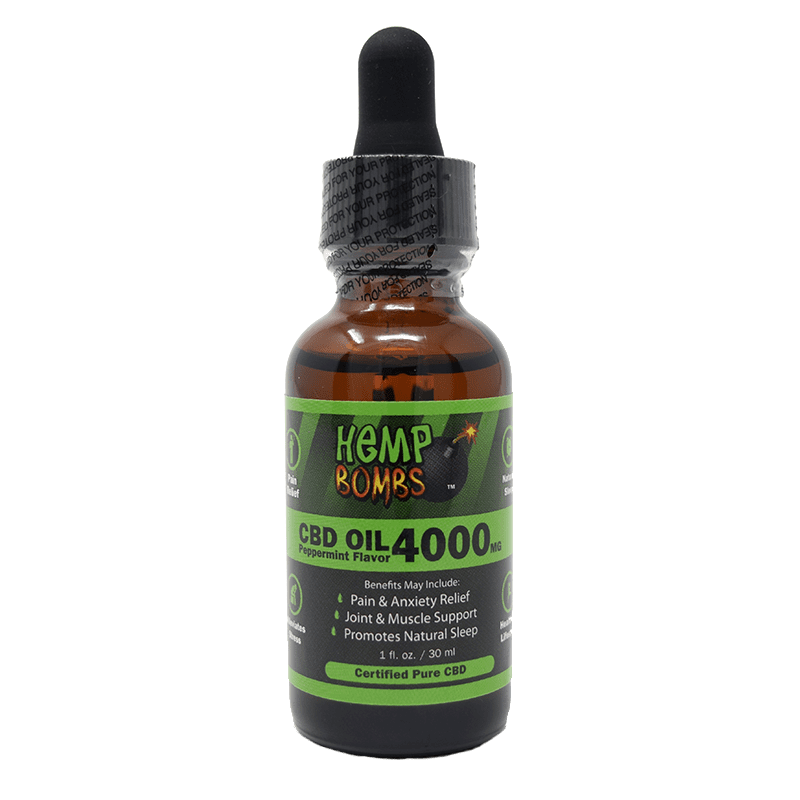 What Is High Potency CBD Hemp Oil? 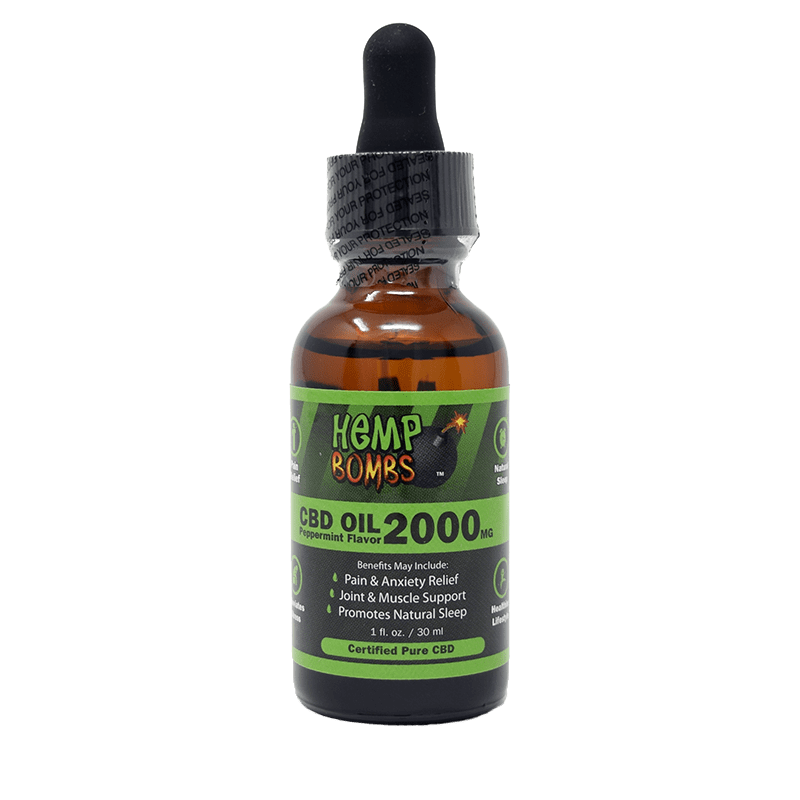 High Potency CBD Hemp Oil, or CBD Tincture, is the one of the purest forms of CBD sold by Hemp Bombs. Our CBD Hemp Oil is a combination of CBD isolate, MCT Oil, and Grape Seed Oil. High Potency CBD Hemp Oil has a range of health benefits and promotes natural health and wellness. CBD is effective because of its interaction with the Endocannabinoid System, or ECS. The ECS is a network of receptors and molecules found in the central and peripheral nervous systems, brain, and GI tract. The ECS interacts with natural cannabinoids, or chemical compounds, produced in the body, as well as plant-derived cannabinoids to maintain homeostasis, immune system function, pain management, and appetite. While CBD does not bond directly with any ECS receptors, it interacts with other molecules to produce a change in the Endocannabinoid system. Therefore, High Potency CBD Hemp Oil can help boost ECS function and regulate these metabolic processes. There are a wide range of benefits associated with High Potency CBD Hemp Oil. CBD has been found to aid in mood enhancement, pain management, and improved sleep. Research has shown CBD may ease the symptoms related to conditions like chronic pain, insomnia, anxiety, depression, and PTSD. While more research must be completed, evidence suggests that CBD may reduce the occurrence of seizures and ease the side effects linked with cancer treatments like chemotherapy. CBD will benefit everyone differently depending on the amount taken and the body’s affinity for the compound, which is why Hemp Bombs offers products in an array of potencies. 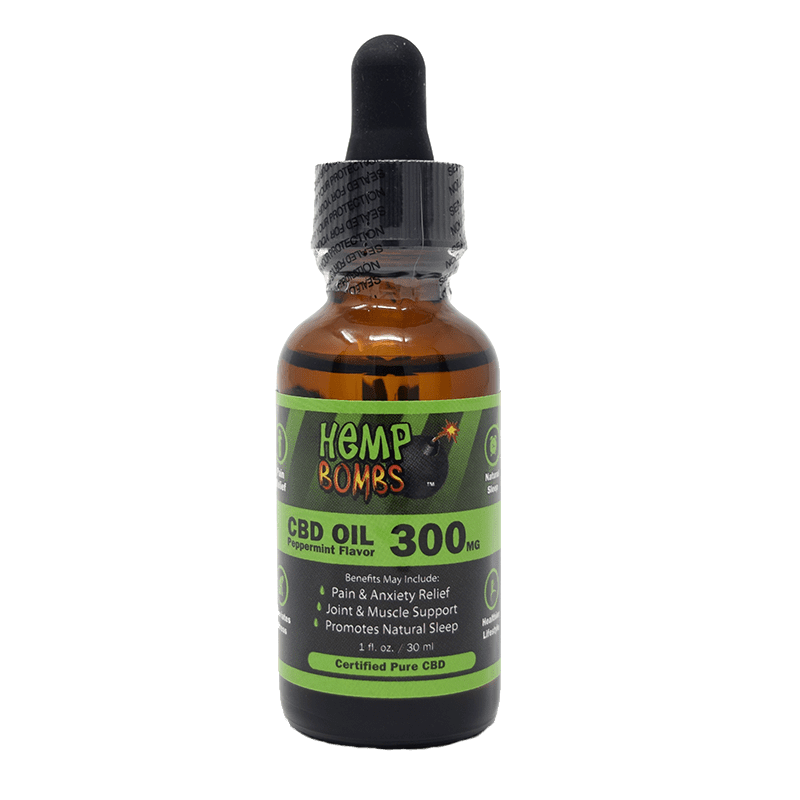 How Do I Take High Potency CBD Hemp Oil? High Potency CBD Hemp Oil from Hemp Bombs offers concentrations that are more potent than most CBD Oils and may have longer-lasting effects. CBD works best with regular and prolonged usage. High Potency CBD Hemp Oil is taken sublingually, or under the tongue. When taking it, it is important to hold the oil under the tongue for at least 15 seconds, so the body can fully absorb the CBD. This will give you a more accurate idea of how much CBD you need for your maximum benefits. 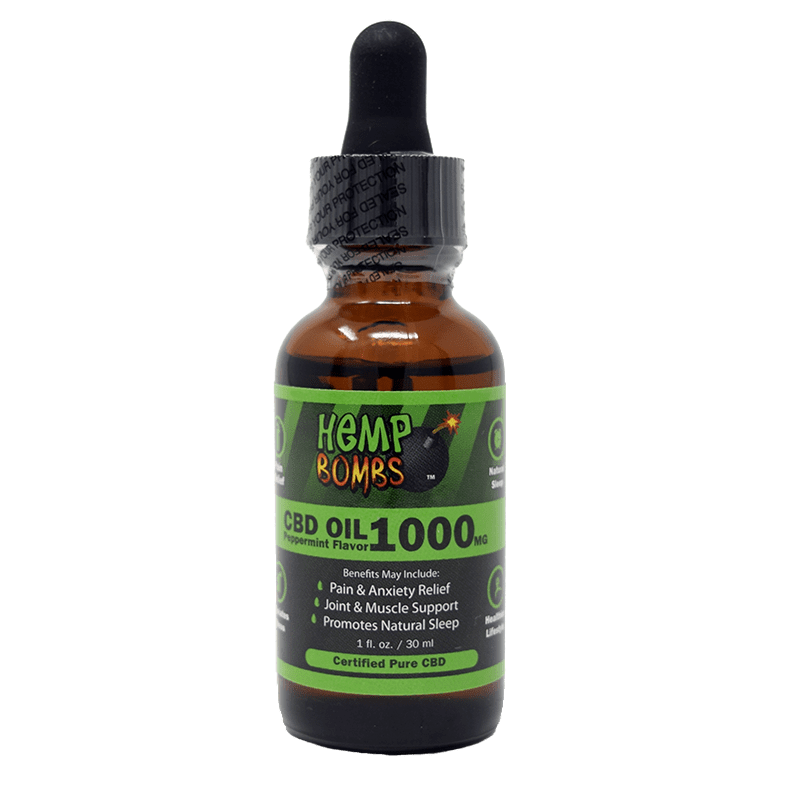 Hemp Bombs offers High Potency CBD Hemp Oil in 2000 mg and 4000 mg, and two delicious flavors. While there are no known adverse effects associated with taking very high doses of CBD, if you are not seeing maximum results with your High Potency CBD Hemp Oil, consider a higher potency or another CBD product which may produce your desired results. High Potency CBD Hemp Oil works with your body’s natural systems to maximize its functionality. While CBD can aid in serious health conditions, it can also improve immune function and daytime awareness. The wide range of benefits from CBD ensures that everyone can gain a better quality of health by incorporating it into their daily regimen. Read for ways that CBD can aid in your daily life. National Center for Biotechnology Information – Cannabinoids in the Treatment of Epilepsy: Hard Evidence at Last?